Network maintenance features include loopback detection and cable diagnostics. Loopback detection significantly speeds up troubleshooting by automatically detecting and shutting down switching loops. The cable diagnostics feature, designed primarily for administrators and customer service representatives, determines the cable quality and quickly discovers errors. The DGS-1210 Series supports Auto Voice VLAN and Surveillance Mode, which allow voice and video traffic to be automatically identified and handled differently to regular network traffic. Auto Voice VLAN detects Voice over IP (VoIP) traffic and automatically segments it from the rest of the network, helping to increase security and allow Quality of Service (QoS) to be applied. 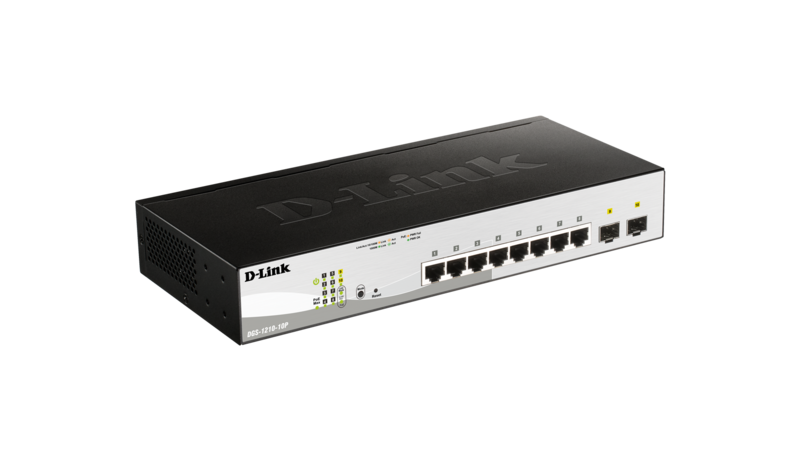 D-Link’s innovative Safeguard Engine helps protect the switches against traffic flooding caused by malicious attacks. The DGS-1210 Series supports 802.1X port-based authentication, allowing the network to be authenticated through external RADIUS servers. The Access Control List (ACL) feature helps enhance network security and helps to protect the internal IT network. The DGS-1210 Series also features Address Resolution Protocol (ARP) spoofing prevention, which helps provide protection from attacks on the network that could allow an intruder to sniff data frames, modify traffic, or bring traffic to a halt altogether by sending fake ARP messages. To help prevent ARP spoofing attacks, the switch uses packet control ACLs to help block invalid packets that contain fake ARP messages. For added security, the DHCP server screening feature filters DHCP replies on unauthorized ports to help prevent them from being assigned an IP address.